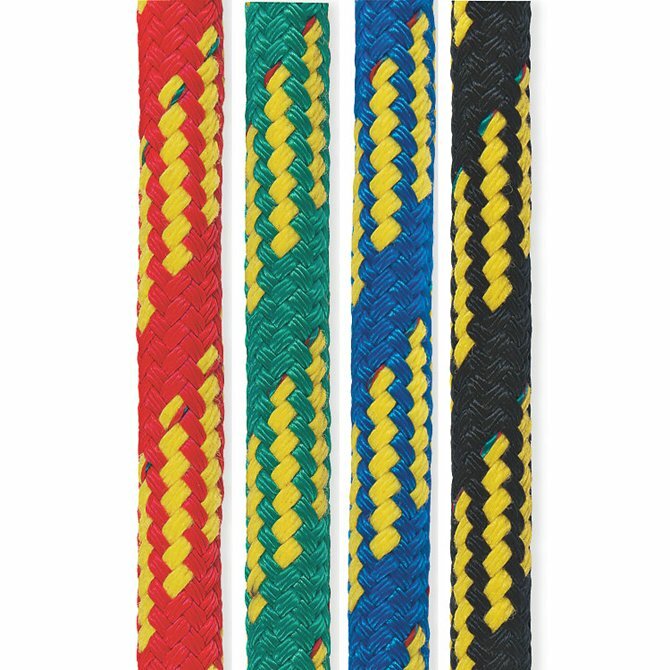 A lightweight, floating double braid with a modest strength/weight and price profile. 24 strand MPF cover and blended core of MFP and SK-60 Dyneema. Ultra-Lite is great for light wind sheets. Cover color is available in black, red, green or blue. Tracer color is yellow. Sizes 3/16" (5 mm) and 1/4" (6 mm) are not spliceable. 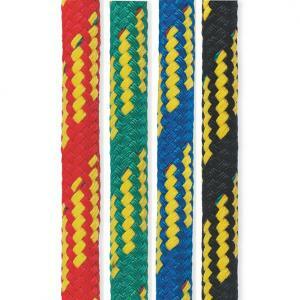 Sizes 5/16” (8 mm) and 3/8” (9 mm) are spliceable.